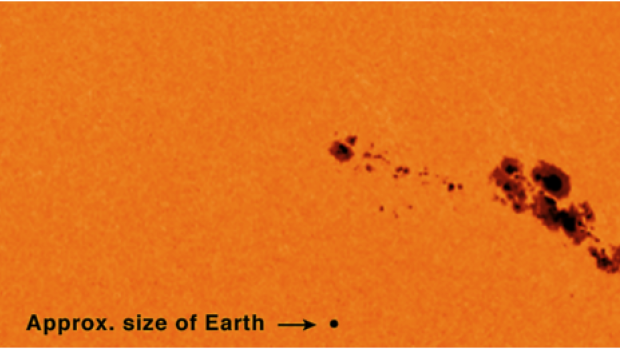 Over the past several days (specifically May 13, 2013), according to NASA, the sun has experienced massive ejections that are the largest they’ve seen in 2013. These recent flares have been classified as X1.7 flares of the “X-class” type (Classes are A, B, C, M and X class – ascending in strength). At the ‘X-class’ rating, the potency of the blast significantly increases (an X2 flare is twice as powerful as an X1 flare and four times more powerful than an M5 flare). Coupled with these flares have been CMI’s – or Coronal Mass Ejections -which send solar matter into space, though they were not sent hurling in our direction this time. What does this all mean? 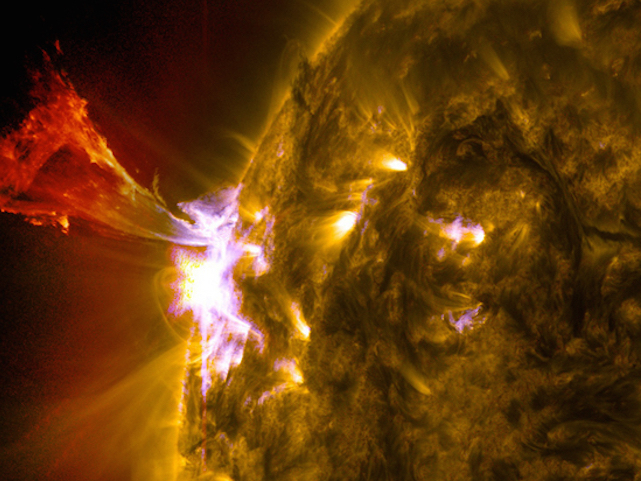 Do solar flares affect us here on earth? Perhaps it’s a stretch, but could it be possible that sun solar flares might shed light on masculine and feminine behavior here on earth. 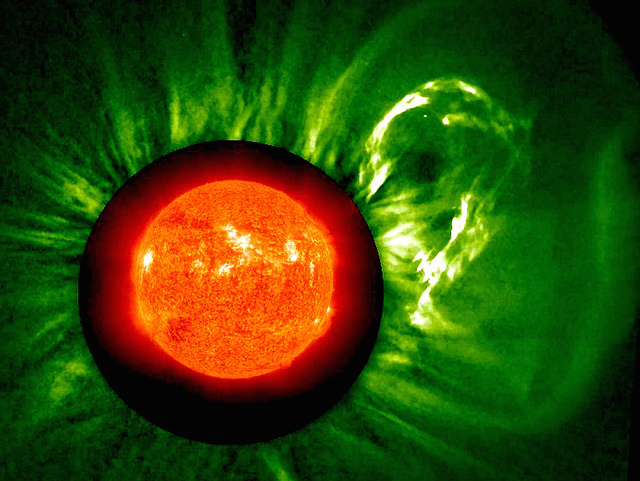 Besides just being a lot of cool images to look at and complex scientific data to swallow (which many of us choose to ignore), solar flares can shed not only light into the emotional experiences we are having, but bring great insights as well, if we are willing to look into this phenomenon. In many traditions, such as the yogic tradition of the Far East, the sun represents the solar, dynamic, masculine energy within each one of us (while the moon represents the intuitive, internal, creative, feminine energy). Even the ancient Greeks depicted the sun as a god, riding his chariot across the sky. The ancients called the earth Gaia a feminine depiction. Nearly all native and ancient traditions have called this particular time in reality- or human history- one in which the ‘goddess’ re-emerges. It is also known as a time where patriarchal societies (male dominant) as we have known them, begins to crumble. This time heralds an era where we will see not just a rise of the feminine matriarchy, but actually, a balance of opposites – a time of equality both within and without -to reign. How does this occur in a system? Well, take our own human organism for starters. We are considered to be half masculine energy and half feminine – the yin and the yang. We have a right brain hemisphere, ruling the creative, intuitive and more passive qualities… while also ‘controlling’ the left half of the body. On the other side, we have a left brain which rules dynamic energy, logic, reason and the more ‘active’ qualities. The left brain rules the right half of the body, therefore the right side of us is masculine and the left, feminine. 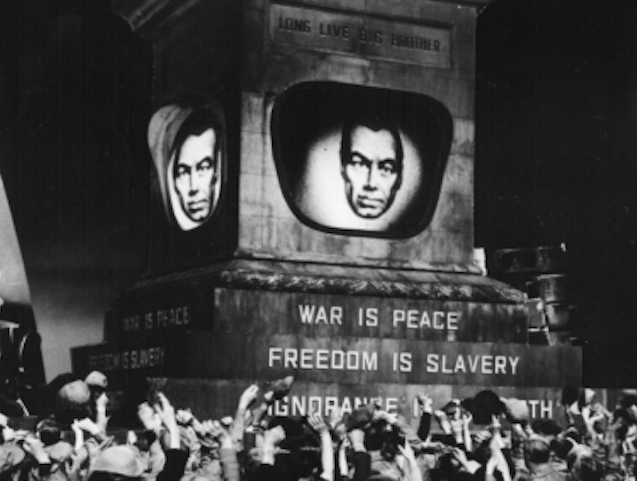 In a society, you can see the same breakdown – those who are more logical, aggressive, who engage in factual and dynamic based jobs or positions would be considered the masculine aspects of the societal system. Those who are artists, in the spiritual and healing arts, writers, mothers, and engaged in more intuition-based jobs would be considered the feminine counterpart in the same system. By in large, our society favors facts, logic, science, medicine, politics, economics and all ‘masculine’ ruled enterprises more than we do the feminine. We show this in the way we divvy out the paychecks. Just look at a job-hunting websites and scroll down to all the options you have for careers or positions – 85% or more are in the masculine category. We live in a male dominant world (as much as the feminist would hate to admit it). The problem with this system is – we are not just half humans. We are not capable of surviving without all of our parts active and in balance. Oh, sure, you can play that way for a while. But just as many healers and artists will tell you that you can only paint and do healing work so long before you need to see the green stuff. We cannot survive in half of a world. 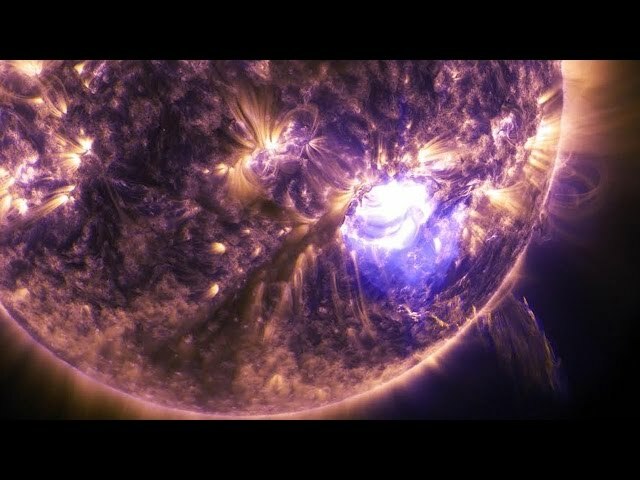 So what does all this have to do with solar flares? Once again, think of the sun as representing the masculine part of us. At the same time realize that the rise in emotional, psychic, spiritual and feminine-based energies, is happening all around and within us. The feminine is busting out everywhere you look – from feminist movements to ‘own your emotions’ articles. The power of the feminine is being reclaimed by women everywhere at lightning speed. Women are no longer remaining passive in relationships and are taking a stand for what they feel, believe and deserve. The option to have a child on your own these days, without a man – is on the rise. Yoga is sweeping the nation – teaching individuals to get in tune with their inner wisdom, intuition and to heal emotional traumas. This has largely been the case since the beginning of the millennium. I find it interesting that this recent X-class flare took place only days after the last solar eclipse. What is a solar eclipse? A solar eclipse happens when the full moon moves in front of the sun, blocking it completely from view – only a ring of light remaining. Energetically, this is a powerful statement. The feminine force steps in front of the masculine for a moment to show what she can do – even though ‘technically speaking’ – she (the moon) is ‘smaller’ than he (the sun) – she can block his light almost entirely. So, when these solar flares happen in space, we can be sure they are mirroring for us a much deeper process – that of our masculine side feeling a bit inflamed over what our feminine seems to be up to. Don’t be surprised if you feel emotionally upset in your relationships or simply within yourself. As that solar energy peaks, notice how you try to bring logic to a seemingly irrational situation. My advice? Just let it flare… for as we allow the steam to blow, we are making way for inner harmony and balance to occur. 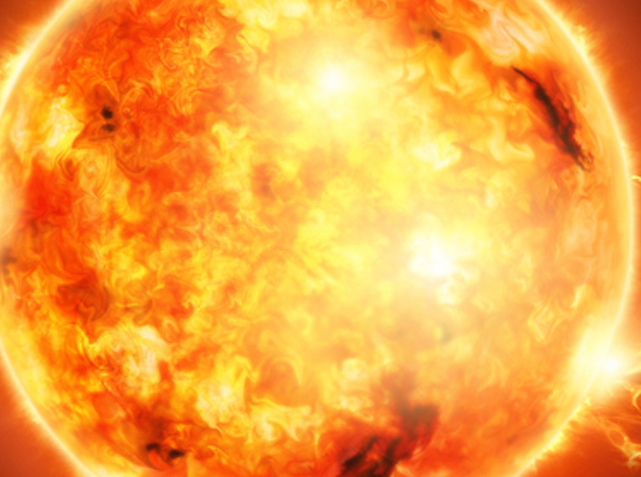 This is exactly why the sun ejects gases. 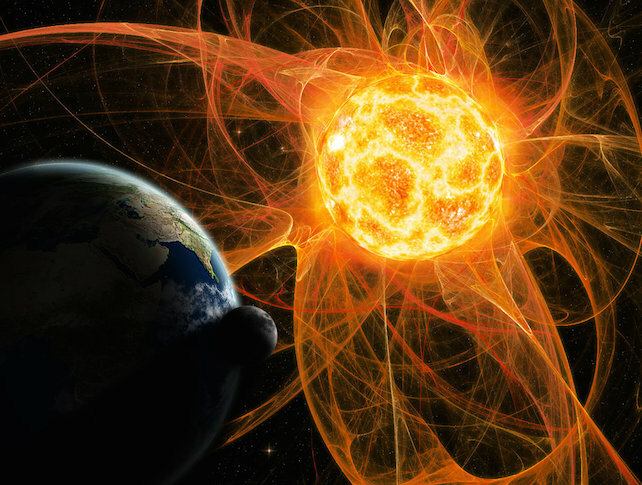 There is such an intense build-up of pressure, that if it did not release, great implosions would eventually cause far more detrimental effects to both the sun and our solar system. Here’s an appetizer for self-evaluation-mode: On the days when you are feeling ‘not quite yourself,’ trust that somehow, your microcosmic version of the universe is performing miraculous feats in order to bring about internal harmony – just as your macrocosmic universe is. Give yourself some room to breathe and visualize bringing the masculine and the feminine into balance within. One thing’s for sure, don’t get caught up in ‘being right’ during these times…(this is just what the egotistical ‘solar’ masculine would want). Instead, just let it flare – and inner balance will soon be there.